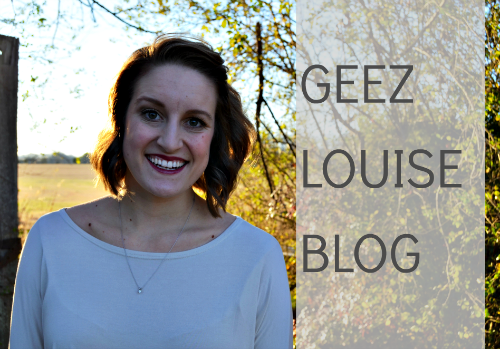 Geez, Louise: Harry Potter Link-up! Those two words together mean more to me, more to my generation, than any other two words combined, in my humble opinion. 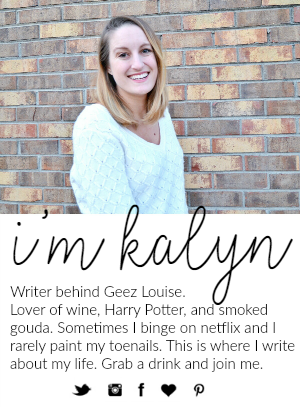 When I had the idea for this link up, I was so excited to share my thoughts, feelings, and experiences with Harry Potter (and I still am) but over the past few days, each time I sat down to write this post, I found myself at a loss for words. Unable to put into black and white all of my feelings on the subject. It's like the first time your boyfriend asks you "Why do you love me?" and you just stare blankly with this dumbstruck look on your face knowing that there are SO MANY reasons, but you just can't find the right words and you end up saying something a little dumb. 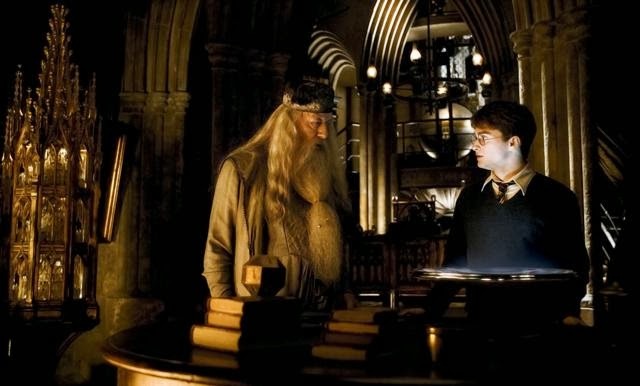 One of my favorite parts to read was when Harry found out he was a wizard, and re-reading that part still makes me excited. To me, it is where the story really begins. Once you reach this point, you're hooked, you can't put the book down because you just have to know. Who is this big guy and where did he come from? Is he a wizard to? What will happen to Harry now? Throughtout the whole book, everyone hates Sirius, we are all worried about him killing Harry in the middle of the night and we just want him to be dead. Then during the climax of the book, we find out that Peter is the real bad guy and that Sirius is Harry's long lost Godfather. I felt so much joy when I finally found out that Harry would finally have his own family. If I ever wanted to change anything about the books, it would be that Harry would have gotten to live with Sirius at the end of Prizoner of Azkaban. "What exactly is the function of a rubber duck? This is one of my favorite parts because it shows us what living is a wizarding home is like, and even though we've met most of the Weasly children, this is the first time we meet Mr. and Mrs. Weasly, who are two of my favorite characters. 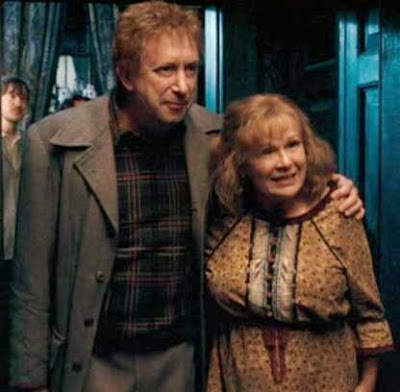 I particularly love the clock in the Weasly home (the one that tells all of the family members' locations), which unfortunatly isn't highlighted in the movies much. This is when Harry has gone back in time to save Sirius (and himself) from the dementors. Up to this point, Harry hasn't produced his stag patronus yet, and he believes it was his father that he saw across the lake. When Harry realizes that it was him all along, he was able to produce the stag, because he knew he had already done it before. How's that for a time warp headache? "I'd try putting it in the water, if I were you"
Even though this part wasn't big in the actual book, it was hilarious in the movie. I think it is the first time we ever see Harry shirtless and I remember it being particularly funny that Myrtle was swimming around in the bath with him. It also really made me want a bathtub like that. This was in Goblet of Fire, which was my favorite book out of the whole series, which is why I think I was most disappointed in the Goblet of Fire movie rendition. 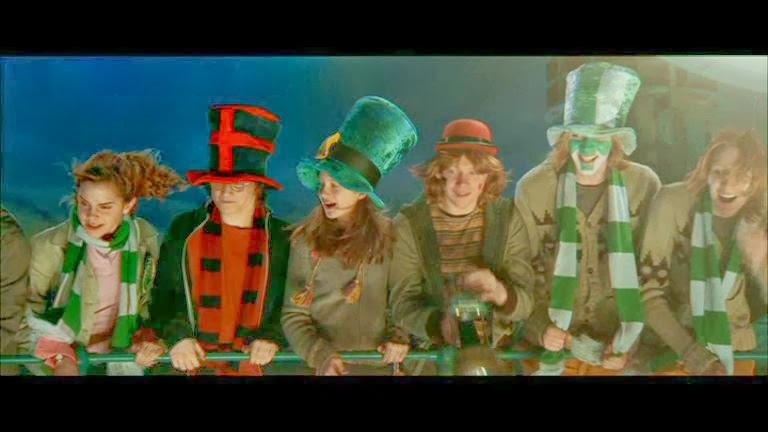 I feel like they left a lot out and that hurt the (movie) story line, especially the Quidditch World Cup, because this is where we learn about Winky (who isn't even a character in the movie) Bartie Crouch, Ludo Bagman (also not in the moive) and several other character references that would have been needed later in the story. Oh well. "You care so much you feel as though you will bleed to death from the pain of it"
I was so shocked by Sirius's death in Order of the Phoenix, I never thought he would leave before the end of the series, especially since he had been with us for such a short time. Dumbledore says this to Harry while Harry is destroying the Headmaster's office, and it is the conversation in which we learn how much Dumbledore cares about Harry, since he had been essentially ignoring him prior to Harry's attempted rescue of Sirius. "I'm going to keep going until I succeed - or die. Don't think I don't know how this might end. I've known it for years." I was never one of those people to read theories or spoilers before books, and I didn't spend a lot of time analyzing things, so I didn't exactly see this one coming. But it is one of the best parts of the story because it truly shows how brave Harry is. That he would die to save the whole wizarding world, giving them the same protection that his mother gave him when she died. Of course there are so many more moments I love, moments I feel like I'm leaving out, moments and words that will be a part of me forever. For now though, these will do. Please take the time to visit other links and follow your host and co-hosts! The goal of this link-up is for everyone to make new friends! Goblet of Fire was my favorite too and I feel like the movie left out so much. But I didn't hate it. Six however.... worst movie. It almost shat on the whole series. That was an epic book and it wasn't done justice! I love the books so incredibly much. And while I'm sad the movies did definitely leave some things out- for the most part, they really were true to the story and that makes me happy. The scene with Harry & Dumbledore are Sirius' death absolutely tore me apart. I was so devastated when he died in the book and once the movie came out, it was even worse!! On a lighter note, the rubber duck comment made me love Arthur Weasley! I love this!! I marathoned all 8 Harry Potter movies earlier this summer as part of my "101 in 1001" goals, and I loved it! I have never read or seen the movies before, and was surprised that I wasn't completely spoiled by all the media coverage and fans I've known over the years. We share so many of the same favorite moments. I love that, and I love you for making this link up come to life! Such a great idea!! Harry has so many great things to teach us, I love all these quotes. Mm, a lot of these are my favorite moments, too! I agree, I was HOOKED when Harry found out he was a wizard from Hagrid - I couldn't be bothered to put my book down after that! Ok now I really need to reread the books! Those are all some of my most favorite parts too! confession. i have not read all the books or seen all the movies. whoopsies. I would also struggle to put into words just how much I love Harry Potter. The Weasley's clock is brilliant, I'll have to dig out my photos of The Burrow as I'm positive I made sure to catch it on camera! Oh this makes me want to read the books even more!! I also found myself wishing that Sirius had stayed alive during the whole series and I absolutely love Mr and Mrs Weasley! I am SO glad you came up with this link up!!! I would like to pick a date when me and you and Ashten all watch the same movie and then we can group text and tweet about it. Also I really love the way you wrote this post...and Myrtle has always creeped me out fyi. 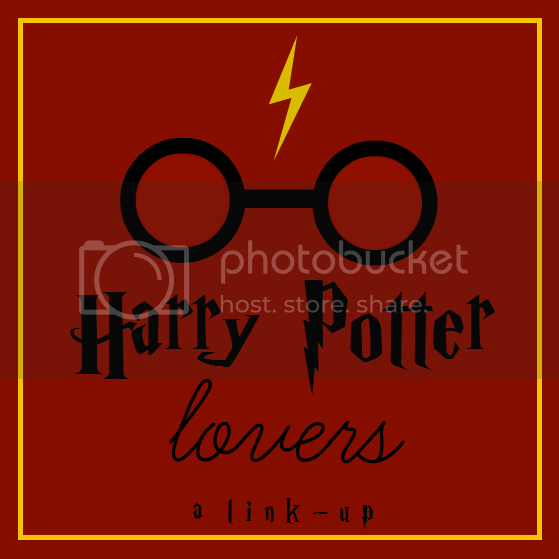 Such a wonderful link-up and way to connect with other HP fans! Thank you so much for this! Mount BlueStacks on xtgem.com/ your computer system device by complying Official Website with the below instructions Permit it to operate on Tinder Download your system Beginning with the installation Tinder procedure The application takes Tinder Online a while to draw out the files. the Leo Playcard Download and pen.io/ install, you could enjoy the videos readily available on Click Here YouTube to address all those complications.Leo Playcard APK Download - Android, iPhone, PC You are not permitted to utilize Leo Playcard for Leo Playcard any type of on the internet video games. Such as, Leo Playcard APK Leo Playcard does not work. Récemment introduit aux soins de la peau organique est un Jordan 12 enfants sérum d'escargot que les scientifiques ont trouvé pour posséder des propriétés de régénération de la peau. Avec toute cette diversité, il est vraiment compréhensible que l'on puisse être quelque peu confus quelle paire choisir. En dépit de la conclusion tout autour de 410 avant JC, un parapet a été ajouté à travers le temple pour contourner les gens aujourd'hui de tomber du bastion escarpé. Au cœur d'Athènes, les hommes et les femmes peuvent découvrir des tas d'excellentes destinations telles que la place Syntagma, la place Monastiraki, le temple Parthenon, la fabrication du Parlement, etc. Eh bien, pour commencer, ces deux nouveaux porte-bébés Kelty offrent toujours toutes les mêmes caractéristiques qui ont fait la renommée du porte-bébé Kelty. L'ophtalmologie peut être un domaine de asics gel noosa tri 10 vs 11 la médecine qui traite tout en utilisant les machinations internes de votre œil.